You'll love the versatility and fun of Everett's Torches. Whether lining the walk to welcome guests or tabletop marshmallow roasting, these torches are the best! 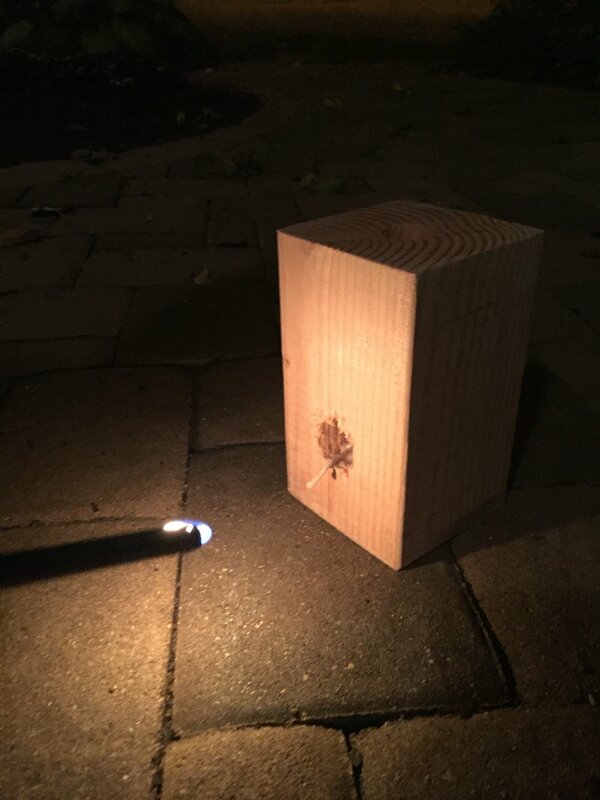 A Swedish Torch (also known as a One Log Fire, Swedish Candle, or Canadian Candle) is created from a single piece of Douglas Fir which burns from the inside out. They are mesmerizing to watch because the flame burns out through the top of the wood and then slowly burns through the sides leaving glowing embers. Simply light the wick and wait about 5 minutes for the flame to start coming out the top. As the torch burns from the inside out, the glowing woodgrain is visible through the side.